Absolutely Hamill’s performance made Star Wars work. I think the excellence of the main characters and the synergy between them is one of the most important factors in making Star Wars work. Huh, wonder what happened to that? I dunno, it was a close to a stroke of genius to make 66% of the new heroes characters you could never root for. 66% eh? So… Poe man? Basically everyone but Rey and maybe a few of the crew. Hmm, we talking TFA cool-as-hell Rey or TLJ I-wanna-hug-the-guy-who-kidnapped-and-tried-to-mindrape-me Rey? At least she has a very north-pointing heroic compass. Too bad the compass didn’t also say: Hey, that Ren guy? Total douche, just deck the crap out of him first. Believing there might be some good in Kylo Ren worth saving was probably the least stupid thing anyone did in TLJ. And it didn’t really hurt anything in the long run for anyone else…so it gets a clear pass. Except only yesterday the same guy had kidnapped, tortured and tried to kill her and her friends. It’s just too, too compressed a timetable for me to buy it. And it’s supposed to be about a week for TFA-TLJ, right? Come to think of it, it’s not just SW that has this - couldn’t get into 24 for similar reasons. I think Poe is in an interesting place post-TLJ, but I really want them to stop sticking Finn with the comic relief stuff minus one badass moment per film. The kids from Stranger Things are probably the ones right now who desperately need to escape their success or they’re screwed. That always seems like a weird thing to say. In contrast to every other kid that was in the casting process for these roles - so, dozens if not hundreds - and tens of thousands of actors in general, these kids now have a solid career, whatever happens. They’ll always find work in television, and they have a shot at having a big career. But that’s the thing, it’s just a shot at that. Most people don’t get to be proper Hollywood stars. There’s only a very few of them, compared to the number of actors, and even when you were the star of one hit movie, that doesn’t mean it’s a sure thing you’re going to become one. For many people, it doesn’t happen, for a number of reasons. I think that is what is really going on - it has little to do with “escaping” a role. That role gave them a shot at something few people achieve. Most don’t. Ford did. Hamill didn’t. Talent may have been part of it. Or business sense, and a good feeling about what film to pick (Cruise was always great at this). But sometimes it’s also just luck and timing. I think that science fiction fandom tends to elevate bit players into a kind of fishbowl stardom. It started with Star Trek, where every supporting actor on that show became a superstar within the Star Trek fandom, but that wasn’t able to translate to success outside of the Enterprise. With someone like Doohan, without Star Trek, he might have remained a bit player for a decade or two, with guest-starring spots on various tv shows, but he probably wouldn’t have gone on to see any kind of fame or recognition. On the other hand, I think that, without Star Trek, Leonard Nimoy might have become a respected and busy character actor like J.T. Walsh or Ed Lauter. But since he played “Spock” so well and his face was so recognizable as the world’s most famous alien, it’s something he never could escape. Any role he got would be “Hey, look! It’s Spock!” in the eyes of the audience and casting directors knew that. Hamill, I think, is sort of in the middle. Without the scifi baggage, he easily could have become a sort of teen idol-type of superstar with the right role, or he might have been a blip like William Katt. Mark Hamill tried to distance himself from Star Wars by acting on stage for about six years after Jedi came out, and then never got a big role after he returned to the screen. Are you really suggesting actors can’t get trapped by their early success and they can easily avoid audiences forever associating them with a role they got early on their career? This doesn’t feel like something that could be debated. I think it happens so rarely as to be hardly even relevant. Like I said, I don’t really see it in any of the examples you mentioned. If this should happen to anyone at all, it’d be Elija Wood, but the truth is that even he has been getting a lot of work and has a higher profile and more diverse career than he would have had without LotR. All-star cast to appear in upcoming Disney+ Star Wars live-action series. 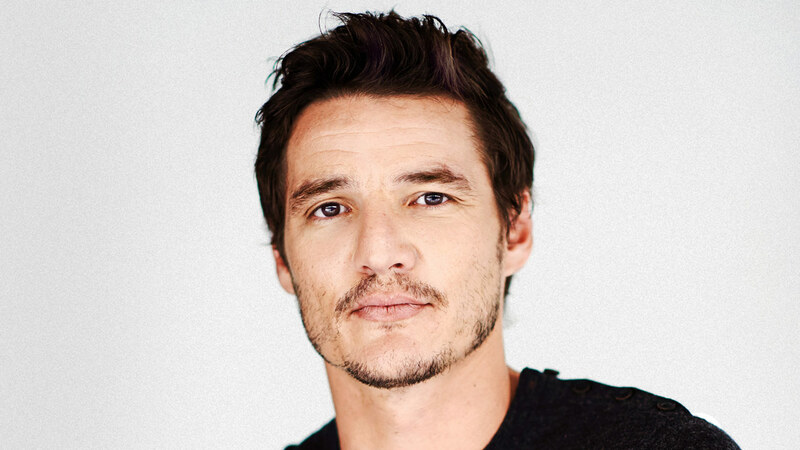 Pedro Pascal ( Narcos ) has been cast in the title role as a lone Mandalorian gunfighter in the outer reaches of the galaxy. He is joined by Gina Carano ( Deadpool ), Giancarlo Esposito ( Breaking Bad ), Emily Swallow ( Supernatural ), Carl Weathers ( Predator ), Omid Abtahi ( American Gods ), Werner Herzog ( Grizzly Man ), and Nick Nolte ( Affliction ). Boba Fett’s not a Mandalorian! He just wore the armour. Also: Dead. As is Jango. But what of…the thousands of Clones? And the ones that defected and lived in hiding?